Snoring isn’t just an annoyance. It can have major health consequence for yourself and sometimes even your partner. For information on obstructive sleep apnea, call Jeff Gray DDS at 619-717-8560. 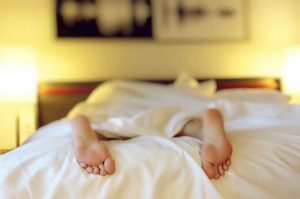 Individuals who snore may have a condition called obstructive sleep apnea in La Mesa, a serious health condition in which your breathing lapses while you are snoozing. This can occur hundreds of times at night. If your snoring keeps your bed partner from sleeping, his or her health is also impacted. Failure to get enough restorative sleep contributes to a plethora of physical and mental health conditions. Most of us have experienced difficulty concentrating when we haven’t gotten enough sleep, but did you know that lack of sleep can limit a person’s motor function and reaction time as seriously as intoxication can? Other possible health problems related to insufficient sleep include heart disease, obesity, depression, and diabetes. You may be asking yourself, “so why is a post about snoring and sleep deprivation in a dental blog?” The answer is that our team specializes in obstructive sleep apnea in La Mesa, along with cosmetic and sedation dentistry. We can treat either of these potentially dangerous conditions, so if you suspect that you suffer from either snoring or obstructive sleep apnea in La Mesa, we invite you to request an appointment today.